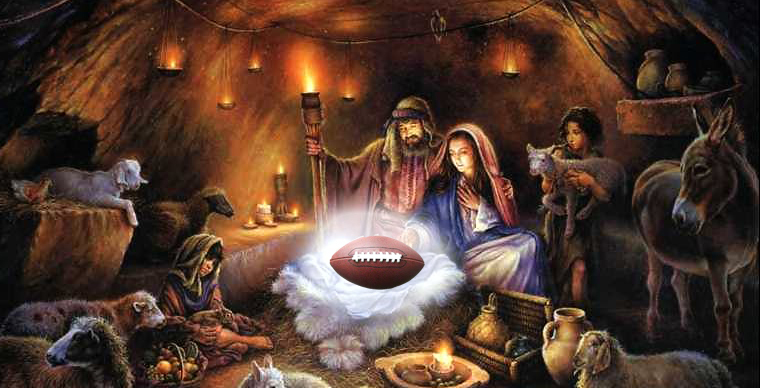 Artist's depiction of football's first Super Bowl Sabbath, circa 1966. This year’s Super Bowl pageantry will feature the clash between two NFL franchises steeped in a rich tradition of battering and bludgeoning their opponents into bloody submission. The Pittsburgh Steelers organization prides itself on its brutal defense, perhaps best known for their “Steel Curtain” teams of the 1970s, the resurgence of the Curtain under the helm of Bill Cowher in the late 1990s, and the modern incarnation of their iron fist in the 21st century as evidenced by their three Super Bowl victories in the last decade. 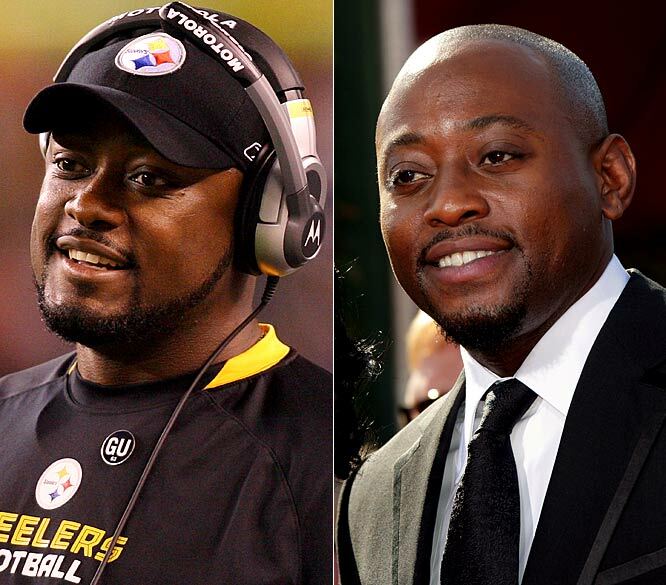 Pittsburgh Steeler coach Mike Tomlin has managed to lead his team to a third Super Bowl appearance while balancing his acting career on TV drama, "House." This year’s squad is no different and may even surpass Steeler teams of the past. Boasting a record-breaking season of helmet-shattering hits, fines, suspensions and accusations of playing dirty, Pittsburgh delivers precisely what football fans crave — men smashing other men into oblivion. Even when millions of people point fingers of guilt in their direction, the Steelers D laugh it off and continue their commitment to violently drive their black and gold helmets to the skulls — and figurative and literal hearts — of their opponents, embodying the very spirit that defines Super Bowl Sabbath. In the other corner, the Green Bay Packers return to the Super Bowl for the first time since 1997 when they lost to John Elway and the Denver Broncos. Like Pittsburgh, Green Bay touts a tradition unmatched by few. Much of the National Football League mystique and lore is intertwined with the Packers legend of hard fought battles in sub-zero temperatures on the frozen tundra of Lambeau Field. Glimpses of grainy black-and-white film emerge, detailing life in the trenches with nameless brutes shrugging off broken noses and missing teeth to advance — or prevent — a piece of pigskin from penetrating a white chalked goal line. A perfect metaphor that spills into “real life” and fuels the dreams of millions of blue collar males embracing our struggle to survive a miserable existence. 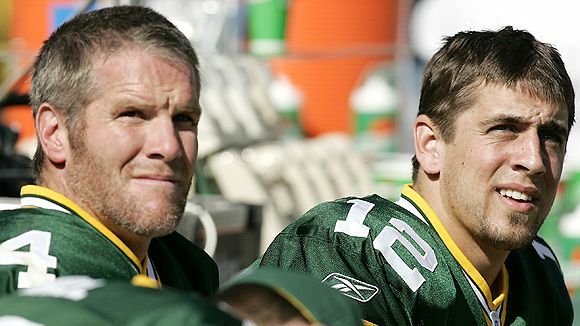 Master's Apprentice: Aaron Rodgers has the opportunity to exorcise the ghost of Brett Favre -- and imagery of text message photos of his weenie -- for Packers fans and all Americans alike. For one day only. The Packers of present day don’t necessarily conjure imagery of low scoring, broken-boned grudge matches decided by which defense cripples its opponent most efficiently. Rather, these new-school Titletown boys operate on a flexible foundation of sufficiently solid defense coupled with an offense with the ability to control — and when possible — take over games. In a nutshell, the Pack can win in a variety of ways — something that Pittsburgh cannot do nearly as well. Anyway, enough of the game talk. In all actuality, the game will not live up to expectations. Any other self-professed holiday would crumble under such disappointing circumstances. However, unlike Santa Claus, the Easter Bunny, and Fourth of July fireworks at the county fairgrounds, Super Bowl Sabbath never — NEVER — fails to deliver. Even when the actual contest portion of the festivities features lopsided blowouts and few memorable moments, the mere phenomenon when gathering in front of ye olde television with friends, family, or even strangers at a sports bar, transcends most of what transpires on the field. Pictured: In honor of our nation's culture and traditions, I present my planned menu for Super Bowl Sabbath. If a quarterback suffered a concussion from helmet-to-helmet contact in an empty stadium without cameras rolling, would it make a sound? Absolutely not. But when witnessed by a nation of rabid and even moderately interested followers, the brain rocking hit sends cosmic shockwaves throughout the world that result in millions of oohs and ahhs, thousands of spilled beverages, and several dozen viewers choking on chicken wings. If Super Bowl Sabbath is to be considered a legitimate holiday, it must possess the ability to deliver indiscriminate joy. Like any other American holiday, Super Bowl Sabbath relies heavily on marketing genius to assure its influence reaches every man, woman, and household in the land. In general, men are naturally attracted to the prospect of watching their kind exert its will upon other male species while gorging on meat, cheese, and strong drink. While some women can abide by these standards, if for only one day, football does not cast a wide enough net to provide satisfaction to other segments of the population. This is why an emphasis on attractive television advertisements during the Super Bowl exist. It is also the reason why Super Bowl halftime shows feature horrible acts by artists who have absolutely no business setting foot onto an athletic field, let alone center stage on America’s biggest holiday. However, as in life, as in sport. Compromise is the key to making the Super Bowl enjoyable for all engaged. Abominations like TV commercials and gag-inducing pop music performances may be difficult to swallow for true NFL initiates, but should be aptly recognized for the role they play in keeping our ladyfolk from deriding our adherence to the tenets of Super Bowl spectatorship: namely, overindulging in fat-filled food, guzzling an ice cold beverage each time the announcers mention “Brett Favre,” and cursing at boneheaded athletes thousands of miles away via our TV screens. It also helps assuage the anger from fully surfacing when they realize you thought it was a good idea to wager your monthly mortgage payment on the over/under (which, at the time of writing, is an astounding 44.5). Super Bowl side bet: Will Fergie once again cut loose on stage during the Super Bowl halftime show? Bookies give it 3:1 odds. Super Bowl Winner: Packers win the game, 17-9 in a dull, lackluster game. (will probably never be a full 100% due to the fundamentalist heathen contingent in the U.S. who do not observe mainstream holidays, e.g. the Amish, Jehovah’s Witnesses, Evangelical Christians, illegal immigrants, etc). In closing, I wish all of you a Happy Super Bowl Sabbath and may all of your wishes, dreams, and gambles be fulfilled to their maximum potential in a glorious celebration of all that is good about mankind. This entry was posted in Sports and tagged Aaron Rodgers, Bay, Ben Roethlisberger, Fergie, green, House, Mike Tomlin, NFL, Omar Epps, Packers, pants, pee, Pittsburgh, Sabbath, Steelers, Sunday, Super Bowl by Troy Beckman. Bookmark the permalink.